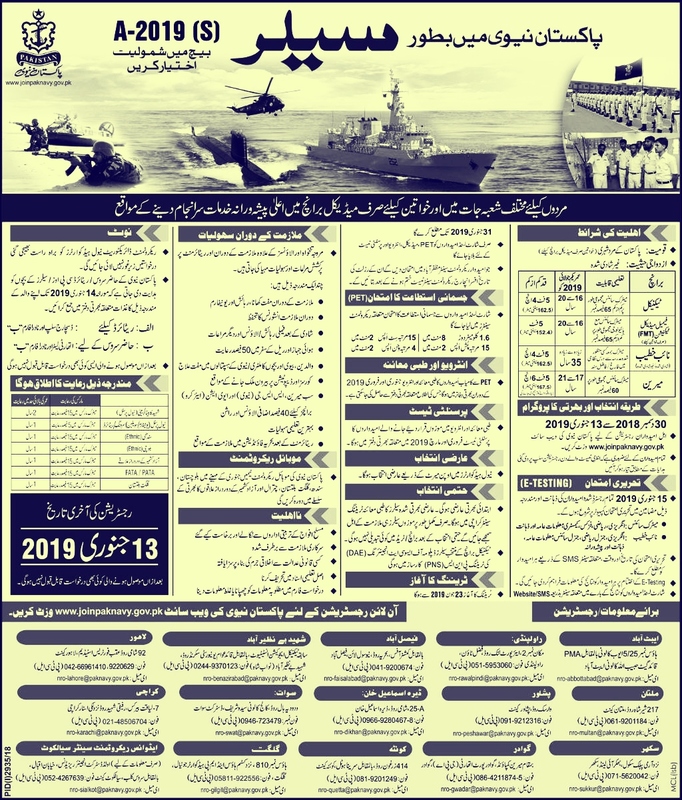 Excellent jobs have been announced by Pakistan Navy.In this article, I am giving you all the information about the job of Pakistan Navy.You must have a Matric degree in order to apply for the job of Pakistan navy with 65% Marks.Pakistan Navy has Announced Vacancies for the post of Technical Staff, Medical Technician, Naib Khateeb, Marine in Rawalpindi. You must be sixteen to twenty years old to apply for a job in Pakistan Navy. For Naib Khateeb age limit is 35 years. Must be 5 feet 4 inches in Pak Navy job 2019. How to Apply for Pak Navy Job 2019?